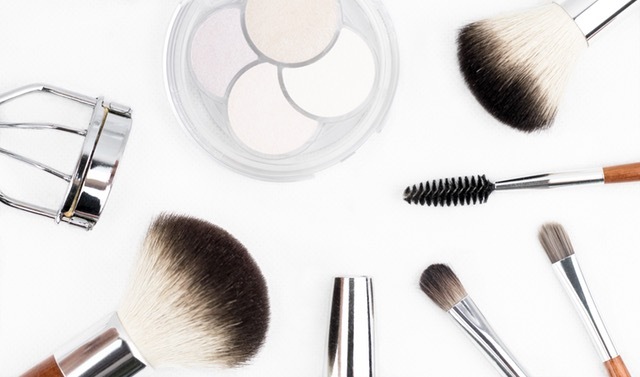 Chances are, you have the Bare Minerals Starter Kit. If not, read this post to find out where to buy it at the most reasonable price, and what you get in your starter kit. So, assuming you have it, you are probably in the position I was… what the heck do I do with this stuff? I will take you step-by-step in how and when to apply the different products. Recommended to be applied on a clean face. Allow your moisturizer to dry completely, then apply the Bare Minerals PrimeTime Primer. Let the primer dry completely. I usually dry my hair or get dressed while waiting. Take your favorite application brush, our number #1 pick is the Bare Minerals Beautiful Finish Brush. You can use any brush you have, but ultimately, when you have the extra cash, get this brush. There is something about it that makes your foundation look seamless. Next, apply the warmth all over face color. I also like the bronzer if you are a sun-tanner like I am. It works great, even in the winter. I usually apply my eyeliner, eye shadow if you wear it, brow liner, and mascara last. I know this is about Bare Minerals, but our favorite brow liner is made by IT Cosmetics. Just trust us. Last, take your application brush, and apply the mineral veil powder. I use it on my cheekbones and above my eyebrows. Try to avoid your nose unless you really want it to stand out. Do not apply this powder to your entire face. Keep in mind that where you apply it is what is going to “glow”. I know that I do not want my nose or chin glowing. The choice is yours. Once you have followed the steps above, you will naturally want to apply your Bare Minerals products in the same fashion.